Joanna Gaines, y’all. She is probably the only person I would be totally cool with letting decorate my home without me weighing in on one single decorating/renovating decision. 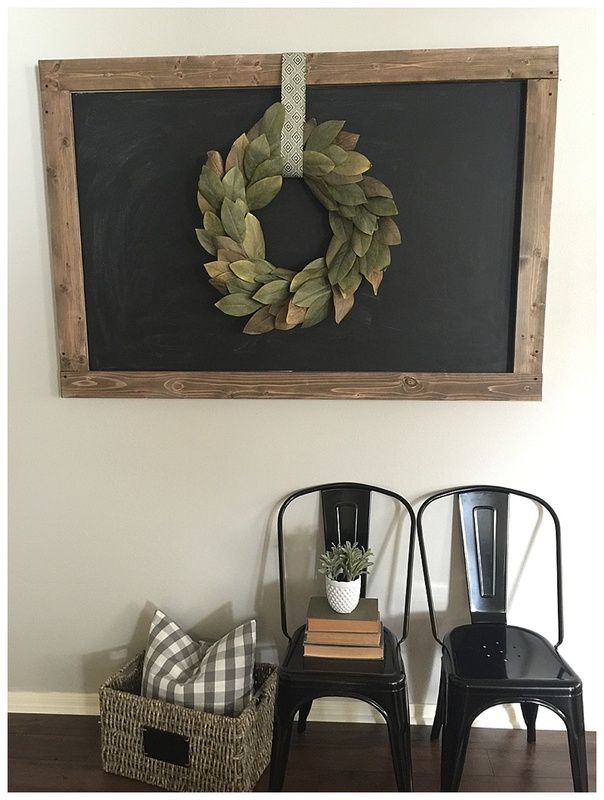 Farmhouse style is a huge trend right now, thanks to her and a lot of other designers. I can only imagine what farmers from back in the day would say about us purposefully distressing items and using grain sacks to reupholster furniture, but the fact remains, we love it! As Joanna would probably say, it’s updating everything but maintaining its character. 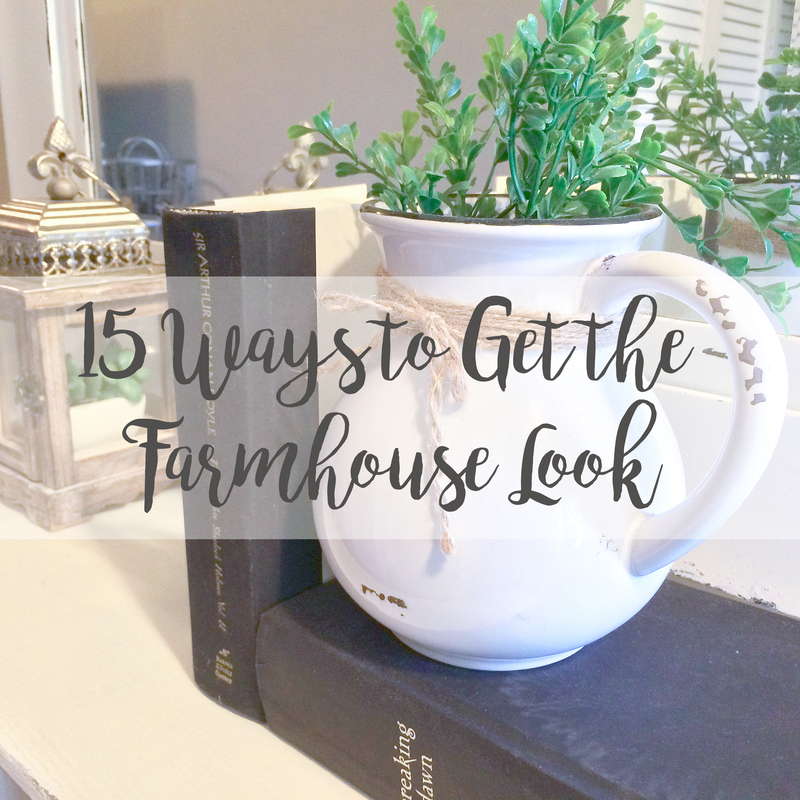 Unfortunately, not all of us can afford to go out and buy a farmhouse (and not all of us have husbands who love the idea of mowing acres of land), so for those of us who live in the city but want that farmhouse charm, we have to find ways to bring the farm to us. 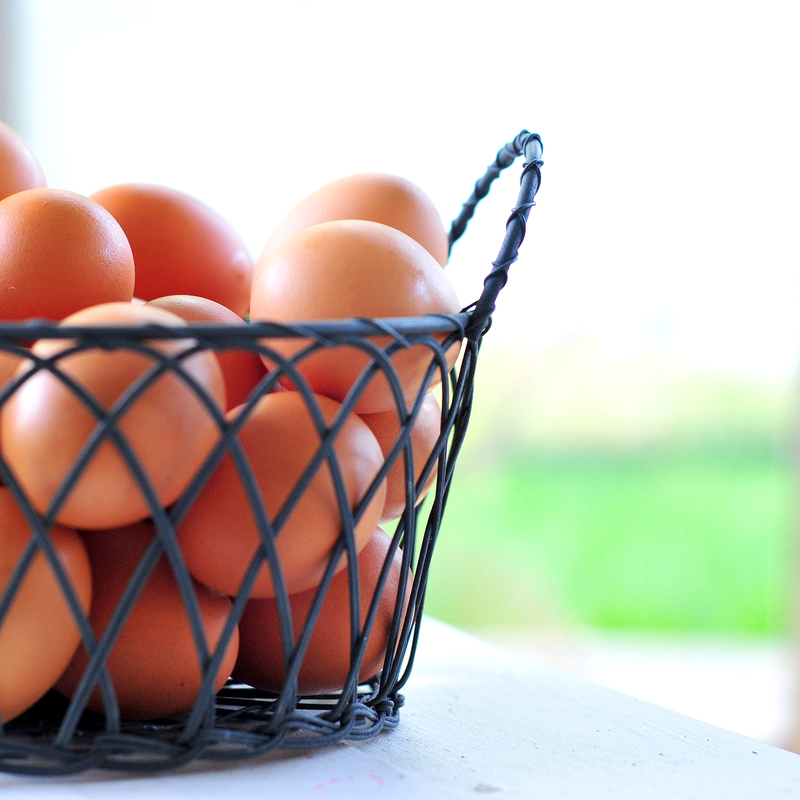 Today, I’m going to share my tips for bringing the farm to your house. 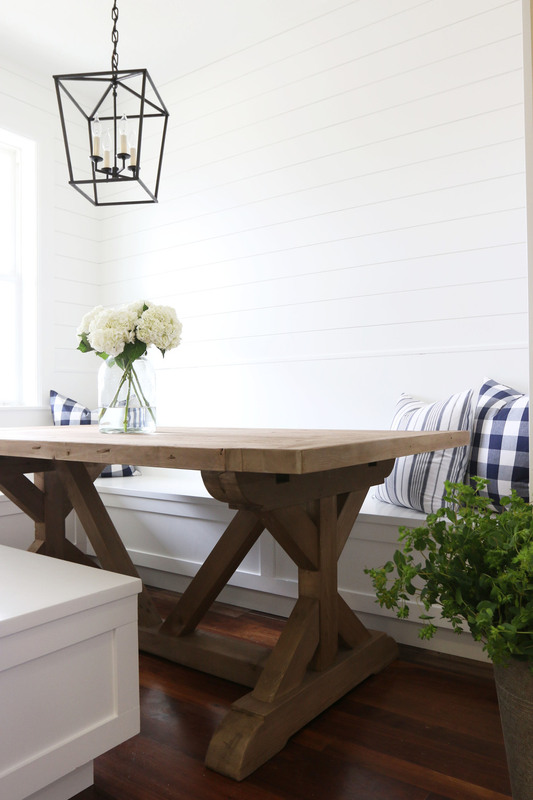 There is something about a bright space that just screams farmhouse. It provides a neutral backdrop for all of those awesome pieces you’ll bring in later to decorate with, and it lightens up small rooms and hallways, making them look bigger. It’s crisp and clean and creates the perfect environment for sunshine to flood the house. Not all homes are huge and not all have giant windows. Mine is one of these, so we have to do what we can to create the illusion of lots of natural light. Thus, Tip #1, white or neutral paint. It brightens everything up. Where you do have windows, though, choose treatments that are semi-sheer. 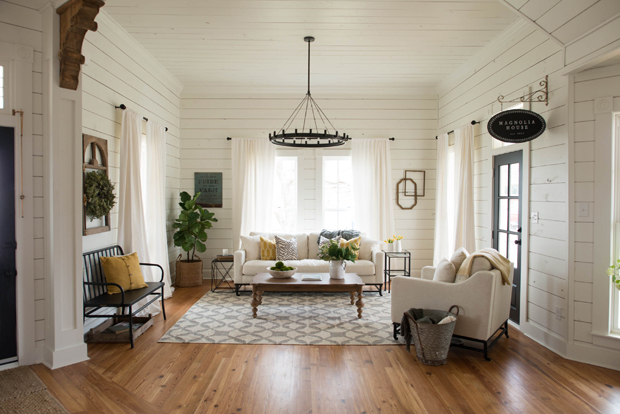 Burlap is really in right now, and there are plenty of window treatments that are a burlap or linen-type material that allow plenty of natural light in while softening the space. My absolute favorite curtains can be found here (you can also sometimes find them at Home Goods for a great price). 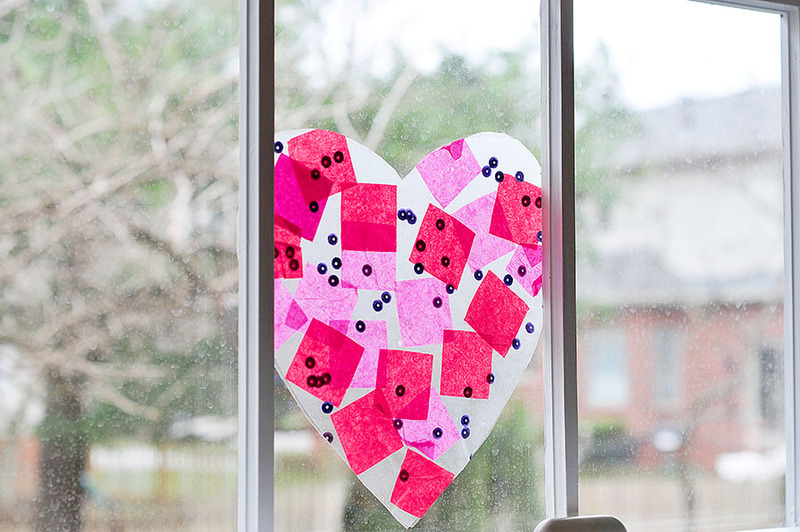 Hang them high and wide to make your windows look even larger and allow in the maximum amount of light. They’re not just for windows, either. Use them on those exterior french doors, too! To offset the white/neutral background you created in No. 1, use oil-rubbed bronze doorknobs, hinges, light fixtures and shelf brackets. An iron framed end table with a wood top brings a little bit of an industrial feel into that neutral space, or try floating wood shelves with iron brackets. The idea of iron and bronze will give your decor some extra character and an awesome contrast. If you focus on anything other than paint, focus on your light fixtures. These can completely transform the look of your home. 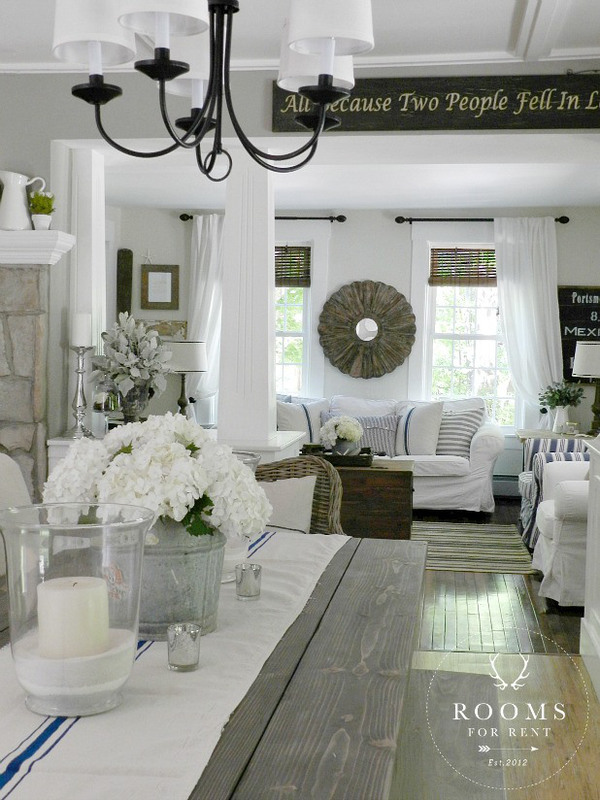 Here are some of my absolute favorite chandeliers and pendants to go with the farmhouse theme, or you can try DIY-ing some of your own like this. 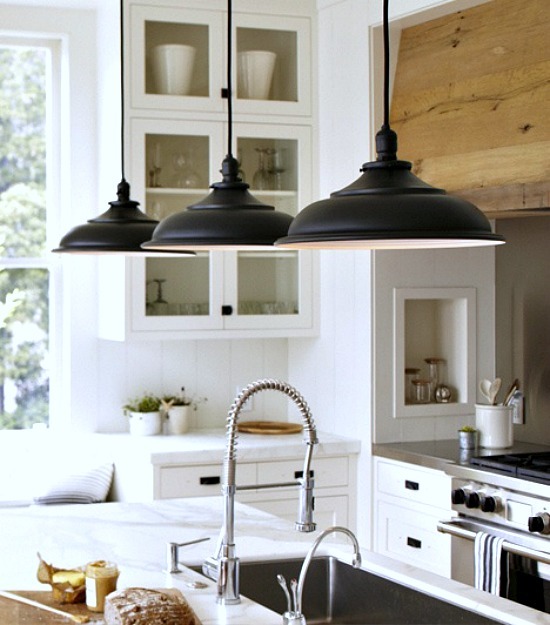 Again, stick with oil-rubbed bronze and wood for anything other than recessed lighting. We all need more storage, am I right? Wire baskets provide the perfect solution, and there are tons to choose from out there! Home Goods always has an awesome selection for a relatively inexpensive price tag. I store my accessories in these, use them as bathroom storage, keep my desk organized with them and even store our eggs in a wire basket! Okay, maybe not everything, but it can be used all over from oversized galvanized letters to hang on the wall to pails and buckets for holding plants. For Christmas last year, I even used a galvanized tub to set our Christmas tree in instead of using a tree skirt! The metal adds another element to the mix and is reminiscent of old farmhouse equipment. A lot of decorating styles use upholstery as an accent, but for the direction we’re headed, neutral is the way to go. Ikea has these amazing sofas that are slipcovered, so you can buy them in white and bleach the slipcover if it gets stained. 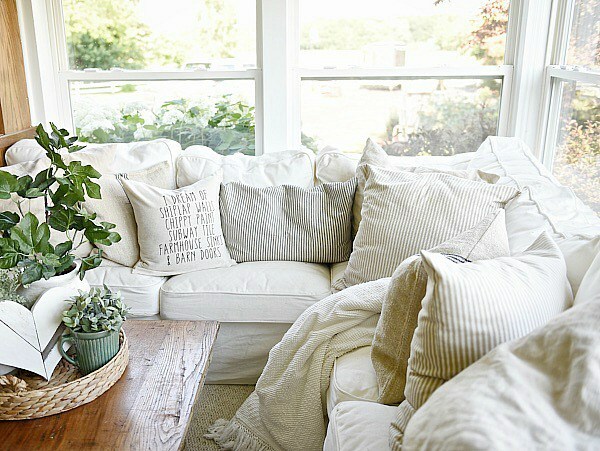 For a cheaper option, you can bleach dropcloths and make your own slipcover. 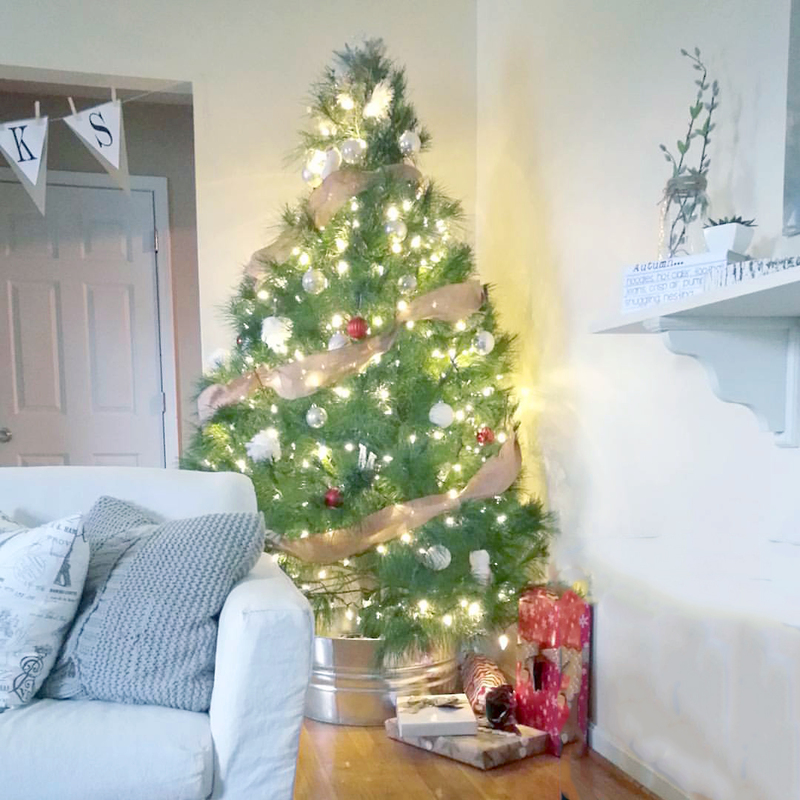 I followed a tutorial similar to this one to make my slipcover which you can see in the Christmas tree photo above. Regardless of whether you choose to buy a sofa or make a slipcover, upholstery is another neutral canvas to be decorated around with pillows, rugs, coffee tables and pretty vignettes. It also continues that bright, open, airy feeling and provides some consistency throughout your home. 8. Grain or coffee sacks. So you might have to do a little work to find these, unless you happen to have a friend who brews their own coffee (if you missed our coffee series, visit our post on Nate’s Coffee here). But there are unlimited ways to use these, and it’s pretty obvious why they tie into the farmhouse style so well. They were used in agriculture, after all! My favorite way to incorporate these into your decor is to use them as fabric to upholster chair and bench seats like this. I’ll be showing you how I made mine in a few weeks! These also make awesome neutral pillow covers! I know this one is really obvious, but it deserves a mention. Wood is inherent to farmhouses of old, and it’s still a valuable material today. Solid wood furniture is less and less common as are hardwood floors, though we still value the look of it in laminates. If you don’t have hardwood floors already or are just looking for other ways to use the look in your home, there are a few things you can do. 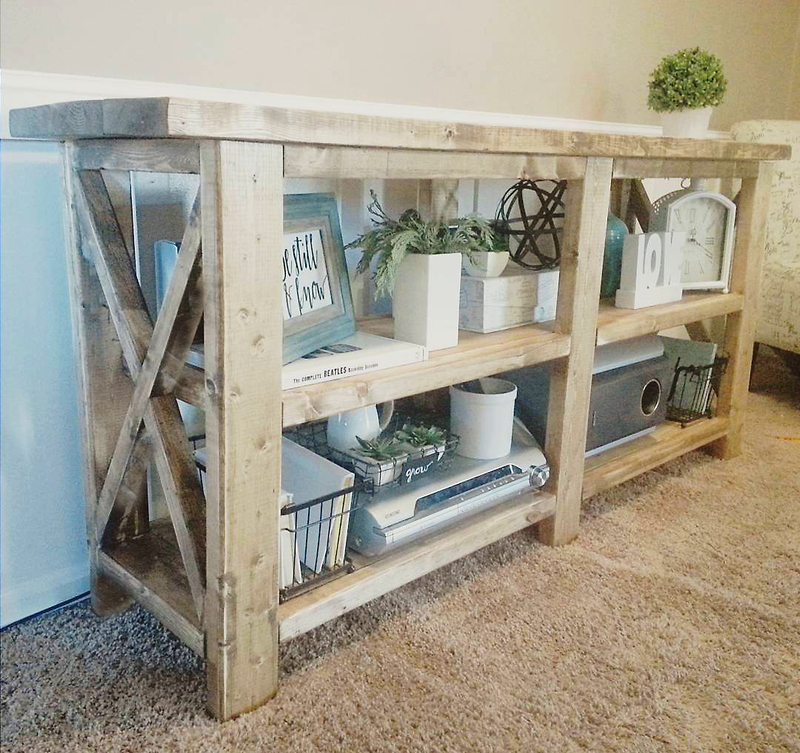 Try adding a planked top to an already existing piece of furniture or build your own (you can find my desk tutorial here). Wood brings a little bit of the outside in, and adds some warmth to an otherwise neutral palette. Also very important to note here (and this should probably have its own category), shiplap! These horizontal slats of wood, usually painted white add some texture to an otherwise blank wall and give the feeling of a log cabin. Few things are more farmhouse-esque than that! You can use wood to add board and batten to your walls as well, instead of that formal chair rail and picture frame molding. We added it in our living room following a tutorial like this one, and absolutely love the way it brightens up the space and gives it an interesting feature! I like to call this “chippy happy”. Distressed mirrors, furniture, frames, planters, wall letters… you name it, you can more than likely distress it. 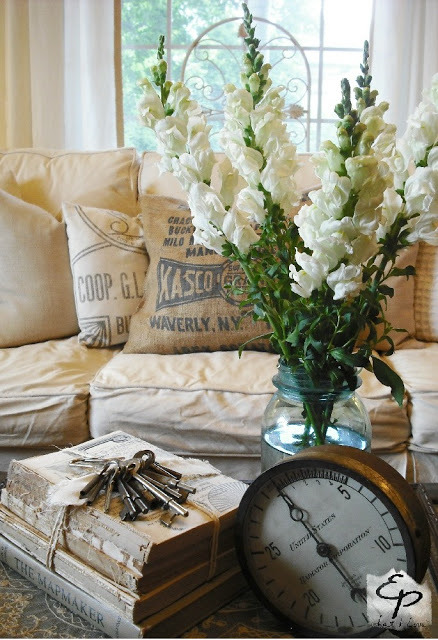 Old is new and is spot on for vintage charm. You can paint thrift store finds to look distressed or sand down already painted items to achieve the distressed look. 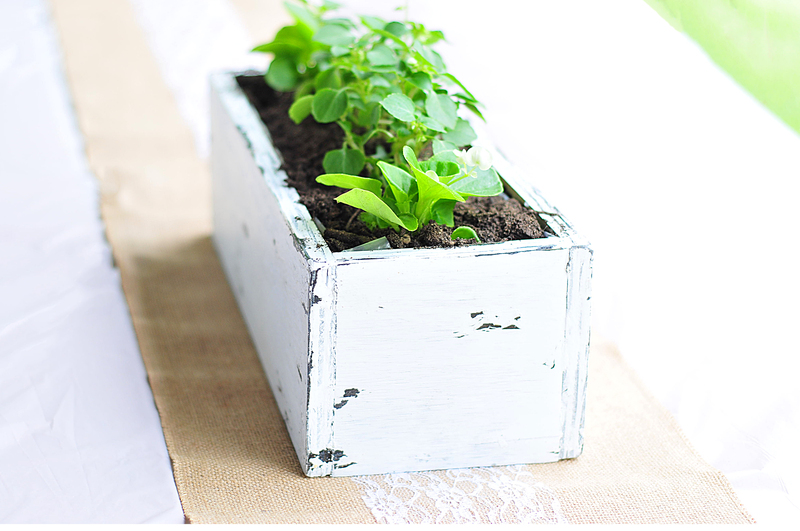 This flower planter is one of my favorite distressed items. See how you can make your own here or you can buy them here. This is a Joanna Gaines staple. 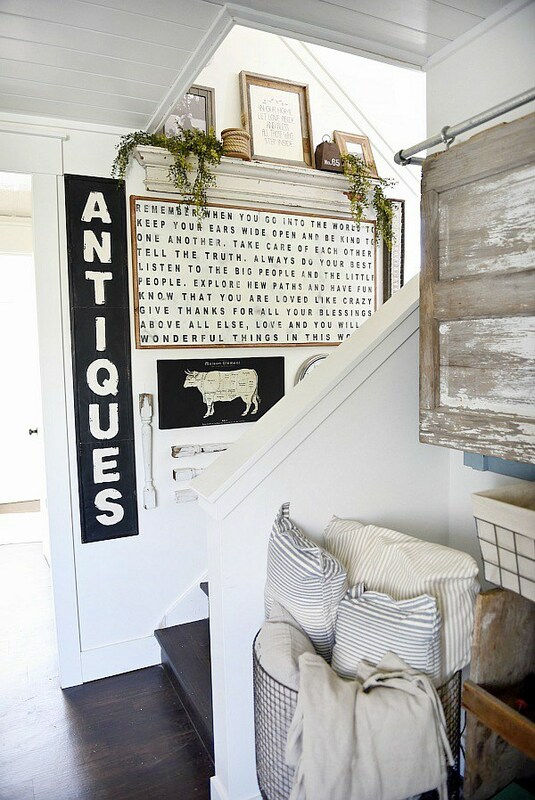 She has this awesome way of finding old corbels (my personal favorite), mantles, shutters, windows, gates, fencing and ironwork and using it them to add character to a space. Head out to your local flea market, architectural salvage yard and antique stores. You will find TONS of these items. Usually they just need a little dusting off, and they’re ready to go. 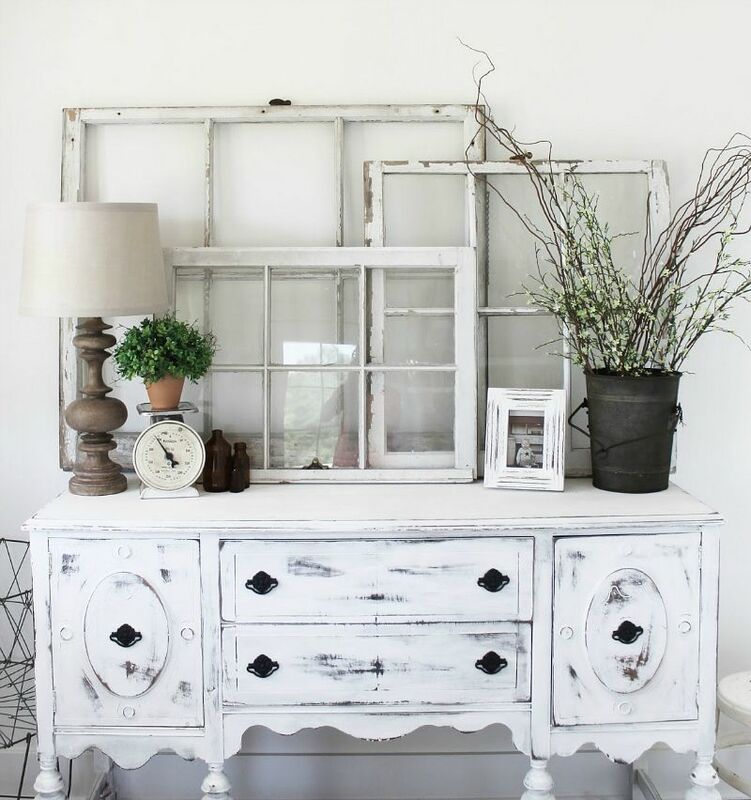 Windows are easy way to bring the farmhouse look inside. (Notice the chippy paint!) Hang one on a wall or layer them on your mantle to create some depth. 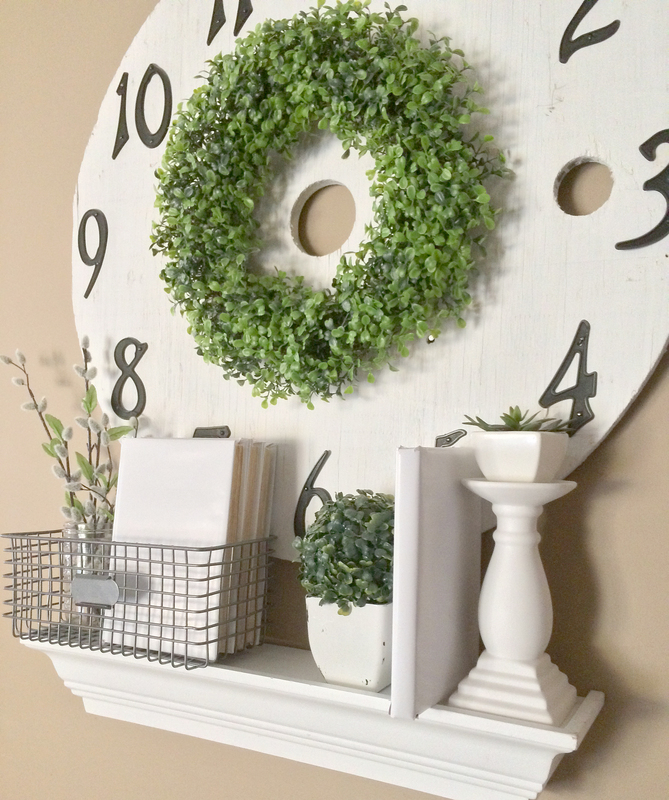 Add a wreath or some greenery, and you’re all set! Speaking of wreaths… Okay. So these are expensive. Did you know you can make your own, though!?! Soak magnolia leaves in a glycerine/water mixture for a few days, set out to dry and then glue them onto a grapevine wreath! I made one for our front door this way, and it still looks beautiful! This is something else you can either buy or make yourself. I found an amazing Market sign at Coach Light Antiques in Nicholasville. It was a little too cleaned up for my taste, so I used my orbital sander to rough up the edges a little. It makes me so happy to look at it every day when I head into the kitchen for my morning cup of coffee, and reminds me a little bit of the Magnolia Farmhouse kitchen (bonus!). Signs like this can be used anywhere. 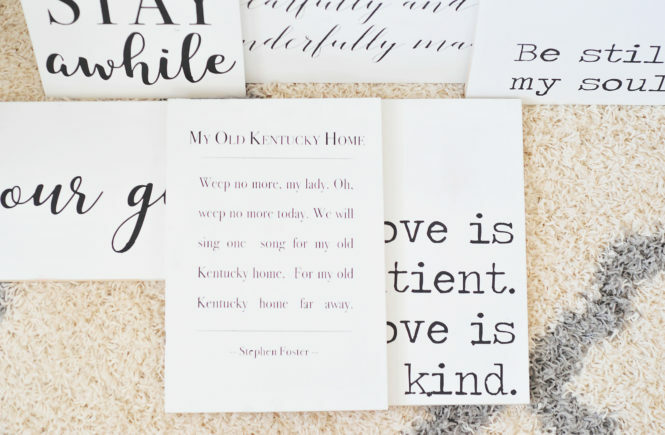 In the photo above, Liz Marie used signs to create her gallery wall. They’re also perfect over an entry door! 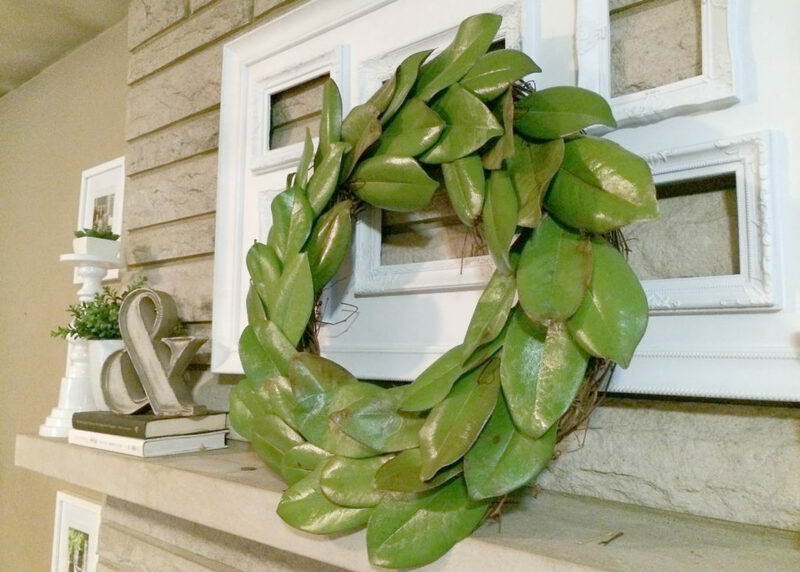 Boxwood and magnolia are my two go-to farmhouse plants for wreaths. I love using succulents throughout the house in lanterns and other containers in place of candles. Of course, there’s always the fresh flowers option as well, which isn’t it nice to splurge on yourself occasionally? I can’t help picking up some white daisies when I pass the florist section at the grocery. It’s like my treat for grocery shopping! That and Starbucks, let’s be honest. Anyway, plants are a great way to bring the outdoors in, and nothing says farmhouse like a garden! If you don’t have space for one outside, and even if you do, be sure to bring that beautiful greenery inside. It adds a little color to that mostly neutral space, and has the added benefit of providing cleaner air inside your home! Last, but certainly not least, oversized wall clocks are an epic way to add farmhouse charm (and tying in a slightly more industrial feel). I made this wall clock out of an old spool, painted it white, distressed it, then purchased some house numbers from Lowes and nailed them on. Is it functional? No, but it could be! You can buy clock hands and hardware from websites like Klockit.com. I just really love the way my boxwood wreath looks on it and can’t bring myself to add hardware. You can also buy these if you don’t want to make your own. Hobby Lobby usually has excellent sales on their large clocks, and of course, Home Goods is always a great option. At Home has some awesome roman numeral clocks right now, too. That’s it, friends! You are all set to turn your home into a farmhouse! 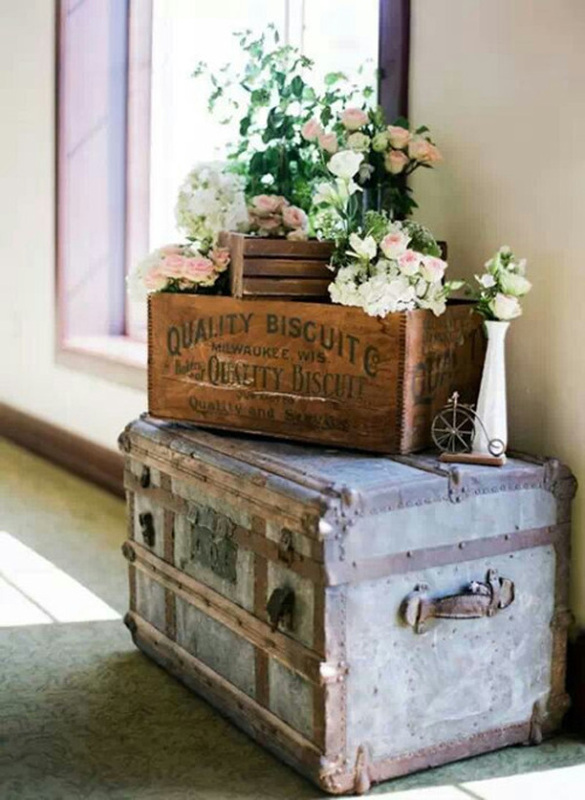 We would love to know how you incorporate rustic style into your decor. Comment below or tag us on social media. Happy decorating!